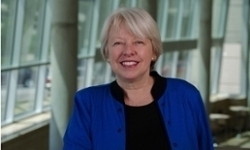 UNMC › Pathology and Microbiology › Faculty › Bios › Audrey J. Lazenby, M.D. My research interests in gastrointestinal pathology include collagenous and lymphocytic colitis, ulcerative colitis, Crohn's disease, infectious diseases of the GI tract, and other non-neoplastic GI disorders. Fatty liver disease, associated with obesity, is also a focus. Smith BL, Khouchani M, Kakouri M, Lazenby AJ, Watkins K, Tahri A, Rajaram S, Soliman A. Incidence of Gastric Cancer in Marrakech and Casablanca, Morocco. J Cancer Epidemiol. Vol. 2015, Article ID 704569. doi:10.1155/2015/704569. PMID: 26576155. Leiphrakpam PD, Rajput A, Mathiesen M, Agarwal E, Lazenby AJ, Are C, Brattain MG, Chowdhury S. Ezrin expression and cell survival regulation in colorectal cancer. Cell Signal. 2014 May;26(5):868-79. PMID: 24462708. Robert ME, Washington MK, Lee JF, Goldenring JR, Bronner MP, Goldblum JR, Greenson JK, Haber MM, Hart JA, Lamps LW, Lauwers GY, Lewin D, Lazenby AJ, Montgomery E, Crawford JM. Immunohistochemistry does not distinguish between indefinite, low- or high-grade dysplasia in Barrett Esophagus. Am J Clin Pathol, 124:519-527, 2005. Thompson B, Salzman D, Lazenby AJ, Wilcox CM. Prospective endoscopic evaluation of graft versus host disease: determination of the best diagnostic approach. Bone Marrow Transplantation, 38:371-376, 2006. Lui X, Lazenby AJ, Siegel GP. Signal transduction cross-talk during colorectal tumorigenesis, Adv Ant Pathol, 13:270-274, 2006. Golumbek PT, Lazenby AJ, Levitsky HI, Jaffee LM, Karasuyama H, Baker M, Pardoll DM. Treatment of established renal cancer by tumor cells engineered to secrete Interleukin-4. Science, 254:713-716, 1991. Lazenby AJ, Crouch EC, McDonald JA, Kuhn C. Remodeling of the lung in bleomycin-induced pulmonary fibrosis in the rat. An immunohistochemical study of laminin, type IV collagen, and fibronectin. Am Rev Respir Dis, 142:206-214, 1990. Lazenby AJ, Yardley JH, Giardiello FM, Jessurun J, Bayless TM. Lymphocytic (“microscopic”) colitis. A comparative histopathologic study, with particular reference to collagenous colitis. Hum Pathol, 20:18-28, 1989. For a detailed list of publications click here.